At Motor Match we know that buying a new used car can feel like a big commitment, but when we're looking after you every step of the way, you don't have to fear the change. Our Peace of Mind packages are designed to offer you a wide range of cover for your life after you've driven off the forecourt together. With warranty, servicing, RAC Breakdown cover (including roadside, recovery, onward travel and at home) and MOT cover you can be sure that you can handle whatever's around the corner. In addition, our Peace of Mind Packages also ensure that you're completely in charge of your new used car and the level of cover you have. Whether you're looking for a Mercedes or a Mini you can choose from our gold, silver or bronze packages to determine the details of your plan. Give our team a call now for more info on our packages, or to get your level of cover sorted. Or you can enquire online now. 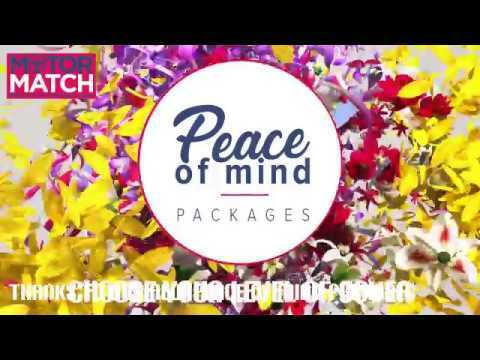 If nothing but the best will do for your new baby, then our gold Peace of Mind package is perfect for you! Bringing together 3 years warranty, 3 years RAC Breakdown cover, a 3 year service plan and 2 years MOT insurance, the Gold package allows you and your new wheels time to really get to know each other knowing that you're completely covered by our most comprehensive pack. ​The middle of the road isn't so bad, especially when it gets you 2 years warranty, RAC Breakdown Cover, servicing and 1 year of MOT insurance! Our silver package offers you the perfect middle ground for ensuring you and your car are covered against any unforeseen happenings. If you prefer things more loosey goosey and never like to think too far ahead then you're probably a capricorn. But never mind goaty we've even got a Peace of Mind package to suit you. With the Bronze level package you get 1 year's warranty, servicing, MOT insurance and RAC Breakdown cover for a year too. So you can make sure that you and your ride are taken car of long after you've rolled off our forecourt.